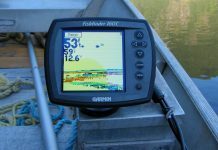 Fish finders are sometimes seen as “misleading.” This is simply not the case! When used properly, they can really do wonders for your fishing experience. 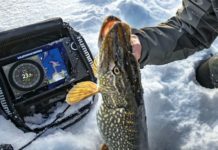 Still, there are some myths out there about fish finders and how they work – so let’s get to the bottom of this mystery! Verdict: FALSE. The marine environment is hustling and bustling with noise! Even though the transducer may alarm fish every now and then, keeping it on is a lot more useful in the long run than keeping it off! 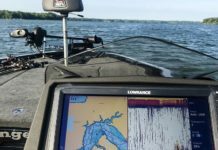 In the water, other boats cause noise, bait fish make noise, grass that grows through the surface makes noise, and if a bass attacks some forage, it makes noise! Verdict: FALSE. 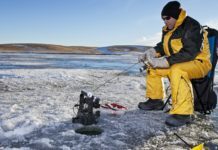 Even if you are fishing around a shoreline that you know very well, keeping your finder on really makes a difference in helping you spot subtle changes in the waterbed that you wouldn’t normally see in muddy or choppy water. After all, the bottom is never totally consistent. Using your sounder to notice even the slightest change might mean you stumble upon an area where a whole lot of fish are taking shelter. 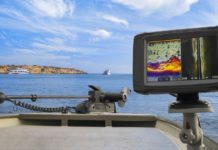 Your fish finder can not only help you see changes in structure, but better yet, changes in fish behavior! 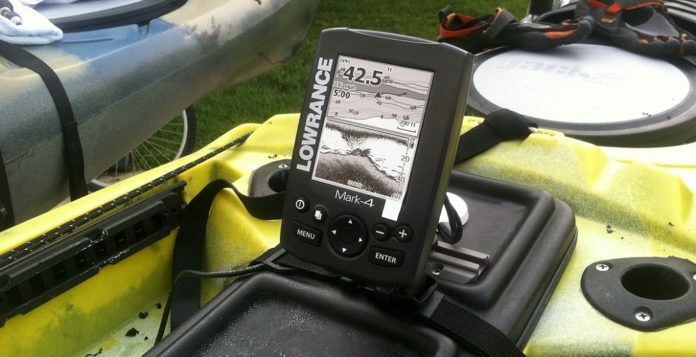 Myth #3: The fish finder lies! It shows that there are fish down there, but there really aren’t! Verdict: TRUE, but… You have to remember that the fish finder is an electronic device, not a deity! It can be wrong, as all other electronic devices, like computers and cellphones! Maybe it’s some plant life that is floating under your boat, or some other disturbance that the finder is displaying as an arch but is really something else. Even though this myth is true, it is not true enough to not use a finder altogether! Remember, the benefits of using the finder are far, far greater than the seemingly downsides. If you know for sure and see with your own two eyes that there are absolutely positively no fish under the boat, and your finder is still showing something, investigate what’s wrong! You will be surprised what you can learn! Master angler Don Allphin recounts an experience he had. 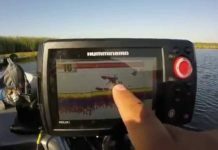 He was fishing for large cutthroat trout on Strawberry Reservoir in Utah and found a shoreline that had a shelf that extended a little from the bank, and suddenly dropped. He had his bait in the water, and he relaxed a little as there were no fish that could be seen. Suddenly, the bottom moved, and his bait vanished, swallowed whole by a 25 inch cutthroat! You can imagine his surprise! Moral of the story: Keep your fish finder on!